It's hard to point out anyone in the grime scene that had a better year than Royal-T. From the 'Orangeade' EP, to touring overseas, major single remix releases and being an essential clog in the Butterz label. I was able to get some questions over to Royal-T, were he looked at his highlights of the previous 12 months, gave a few insights to his next movements and spoke about how things have changed for producers within grime. *Click the play button at the bottom right to listen to all the embedded tracks whilst you read. DPM: 2011 was an incredible year for you, as pointed out by your Yearbook mix. What would you pick out as being the biggest highlight for you? Royal-T: Thanks. The Butterz Party was definitely a big highlight for me and going abroad to dj for the first time. Also remixing charting singles was a big moment for me, but touring Australia was a huge highlight for me personally. Even though it's 'business as usual' and what I’d always been aiming to be able to do with music, I still have to pinch myself when things like this happen. I'd never left Europe before that trip either. Something that sticks in my mind was that you had a track featured in a FACT mix by Mike Skinner. That must have been incredible right? Yeah even that is a big highlight for me too. I used to worship The Streets album and I still listen to them to this day, so that was cool. Regardless of him knowing 'Royal-T', just for the fact he recognised and enjoyed the track to be able to play it is enough. I'd say some of my production is influenced by his work anyway. Touring Australia, what was it like to be taking Grime to another continent like that? Yeah it was heavy. It just makes me glad that I’m on the right track to be honest. Compared to other guys in the game I haven't been about very long, so I had to represent. What were the Australian grime crowds like? Are they much different from over here? They're very into Dubstep and that and I was playing alongside Dubstep acts so it was fun to bring some 2-step/Grime and shock people a bit. I wanted the Dubstep heads to understand and recognise the sound and give them a different outlook on 140. They're just as passionate about music over there as people are here so I felt quite at home anyway. You’re going to be at Cable for the Butterz 2nd Birthday party. What's the one track that you just can't wait to play? I've got this track I’ve made for my next project. I’ve been waiting to play for ages. An 8 bar tune, it's completely different to anything I’ve made before. Everyone's been trying to make Spartan 2.0, so I always try to come with a different vibe. Be good to see people's reactions about this one, its nuts. For anyone that hasn't been to a Butterz rave, can you try to sum up the vibe and what goes down? It's hard to sum up without actually experiencing it for yourself. The 2nd birthday will be enough to prove what we do. Everyone's very serious about what they/we do here but that doesn't stop the enjoyment. Instrumental grime seems to be in a strong position at the moment. What would you suggest as the fundamental reason(s) for this? I think with the rise of Dubstep mobbing clubs, Grime needed to look strong again. I think a lot of producers were fed up of being pushed aside for the MCs to flourish, so some of us took a stand. Butterz had a big influence on things. They built a platform for the instrumental side to shine. For years it was that same old cycle. MCs ask for beats, don't pay, get played on Logan, get put on a dead mixtape, no one buys and then that's the end of it. Something had to change eventually. Yeah, definitely. As long as us producers don't slack. I ain't going anywhere anyway. You've mostly released EP's of material so far. Will we be able to see a Royal-T album this year? Any details/titles you could give us? Maybe. I'm being a bit secretive with my next move but it's all in order and believe me it's big. The Yearbook mix also highlighted the remix work that you've put in. Does the remix work affect your original output & how do you try and balance the two? To be honest it did in a way, but only for the better. I was able to relax this year and not feel pressured into making 20 beats a week. I just chilled and never forced myself to be creative. I have strange work habits as it is, so it was quite fun to be able to do all the remixes and work with songs from other genres. There is a cool trend of producers collaborating with each other at the moment. Are there any that you would love to get in the studio with or have been in with? Yeah I’ve got project files sorted with 3 or 4 producers at the moment, so we'll see what happens. I would like to work on a 2-step track with Mike Skinner one day. It would be good to see if I could do a tune with Skream. That would be a bit nuts. Sharing is caring. Are there any producers/artists at are currently 'under the radar' that you would recommend checking out? A guy called OH91 from Bristo. He's heavy. Mister Maff who remixed Orangeade is good too. There are a few others too, I’m sure there's more that I can't think of at the moment. What's the one thing that you would like to have achieved by the end of the year? Maybe play a couple festivals this year. More or less everything I did last year but x 10. I'm just looking to take the piss again. 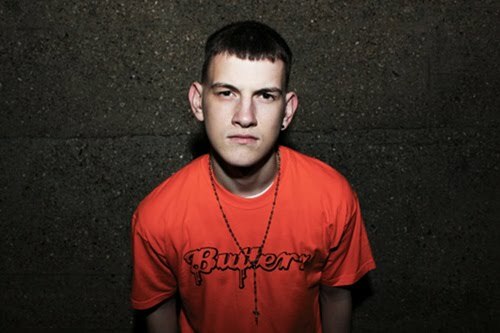 Royal-T is playing at Butterz & Hardrive present: Butterz 2nd Birthday at Cable on the 24th March, along with JME, Terror Danjah, Elijah & Skilliam and Swindle.